1. 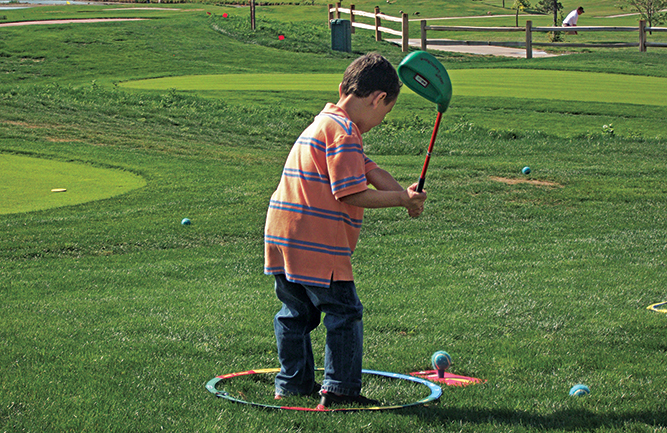 Drink (tickets) are on Golfdom! 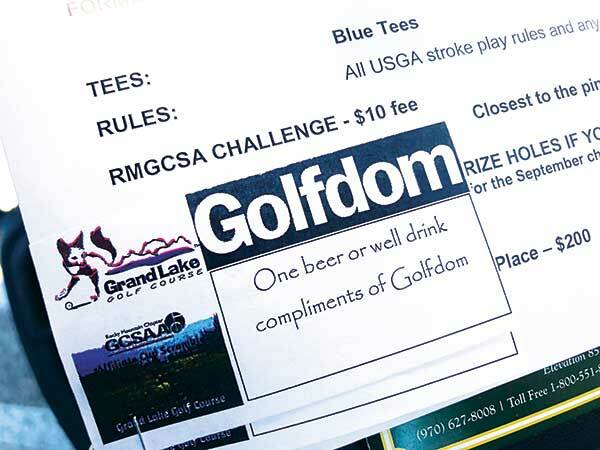 Making good on a competition from last fall, the Golfdom team hit the Rocky Mountain GCSA Affiliate Cup event at Grand Lake (Colo.) GC to buy the whole chapter a cold beverage. 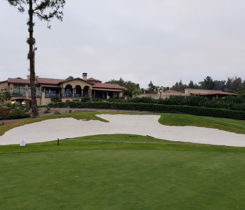 The RMGCSA successfully returned the most State of the Industry surveys, for which we’re grateful. 2. 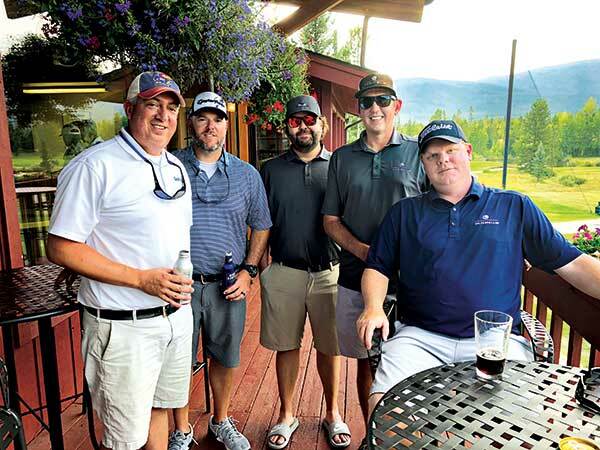 Rocky Mountain high After a fun day of golf at 8,369 feet, (left to right) Golfdom Editor-in-Chief Seth Jones, Todd Creek Golf Club Superintendent Jeremy Casebolt, Legacy Ridge Superintendent Tim Davis, and Kenny Troutman and Steve Ehnes (both of Wilbur-Ellis) take in the view from the Grand Lake GC patio. 3. Colombia to Columbus (L to R) Country Club de Bogotá’s Sebastian Delgado with Ohio State University’s Ed Nangle, Ph.D., and Mike O’Keeffe. 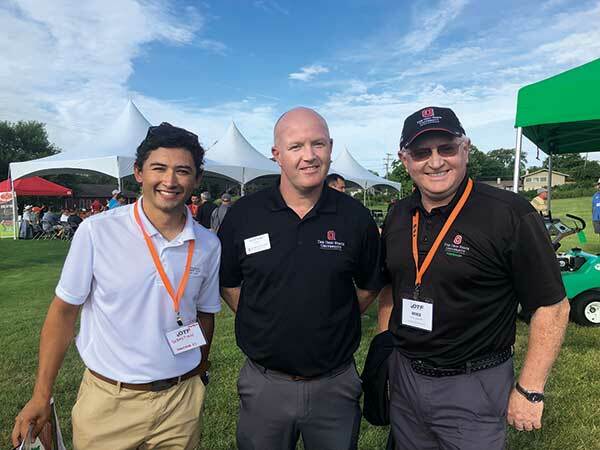 Delgado interned at Firestone CC for the summer and was gearing up for his next internship at TPC Sawgrass when we caught up with him at the Ohio Turfgrass Foundation’s Turfgrass Research & Technology Field Day. 4. Listen up! 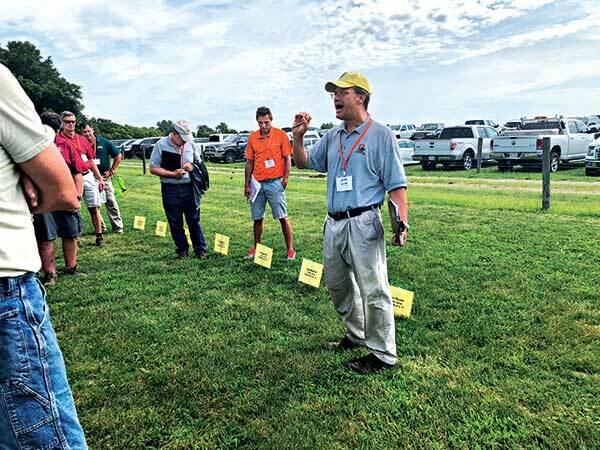 David Gardner, Ph.D., gives the lowdown on the latest turfgrass weed control products at the OTF Field Day. 5. 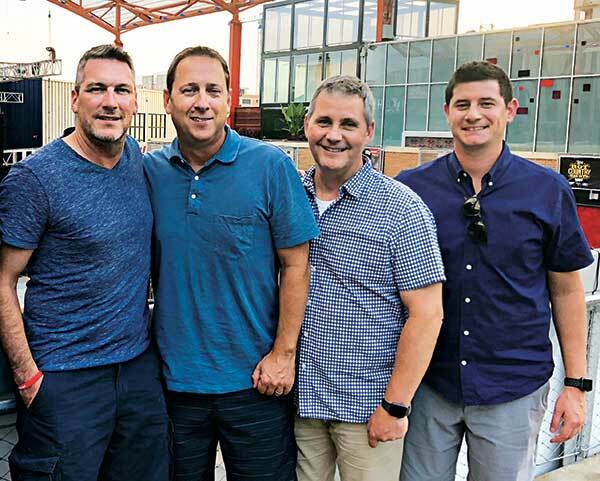 A visit from Sipcam Sam The Golfdom team connected with Sam Wineinger (second from left) of SipcamAdvan while the group was visiting Kansas City. Seth was there too, but was squirrely about appearing in a photo with a University of Missouri grad. 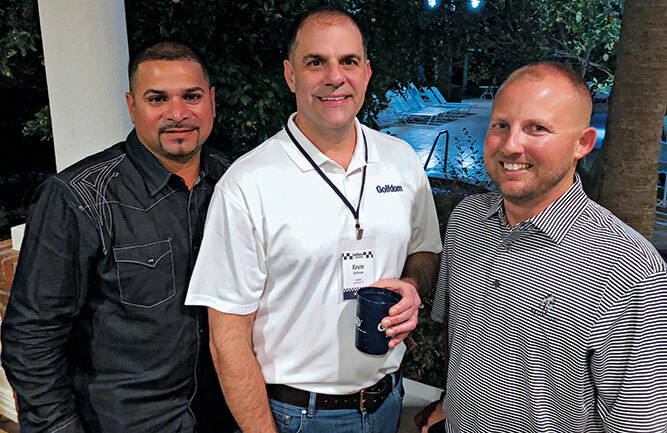 The Golfdom team, from left to right: Craig MacGregor, Bill Roddy and Jake “Goody” Goodman. 6. 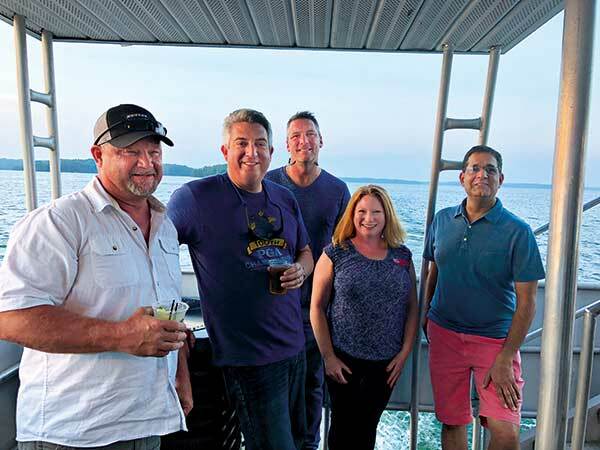 Lounging on Lake Lanier Kubota launched a new utility vehicle, the Sidekick RTV-XG850, during a media event at Lake Lanier, Ga. Check out a video to see what the Sidekick can do. 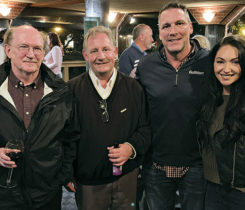 In the meantime, here’s (L to R) Roger Gifford, Kubota; Jones; Golfdom’s Craig MacGregor; Christa Lander, Kubota; and Rajesh Joshi, Kubota, celebrating the end of a successful launch party.